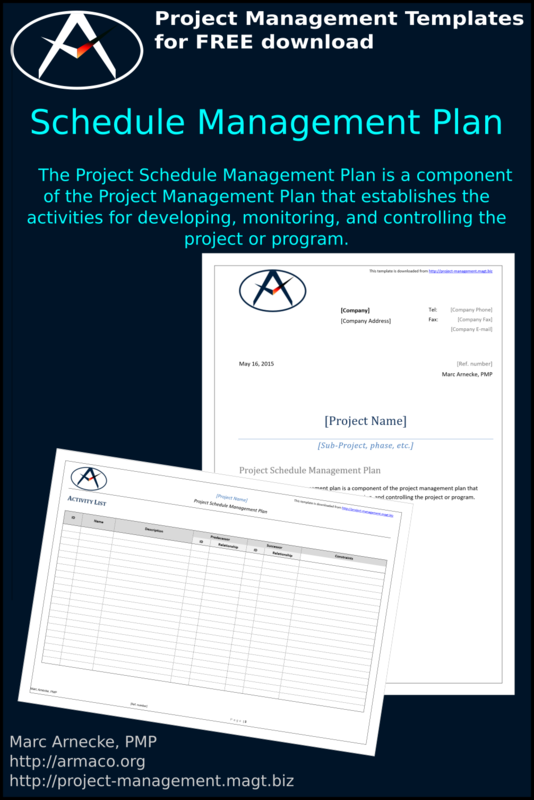 What is a Project Schedule Management Plan? The Project Schedule Management Plan is a component of the Project Management Plan that establishes the activities for developing, monitoring, and controlling the project or program. What is in the Project Schedule Management Plan? Unfortunately, many project managers and their teams make serious mistakes in creating project schedules. On the one hand, the creation of the schedule is not understood as team work, but often done by an individual. That is wrong. On the other hand, the individual tasks and activities are not sufficiently evaluated. This is where the project schedule management plan comes into play, which deals in particular also with the scheduling process. In the design and determination of the scheduling process, it is described in particular how tasks and activities are identified, how their sequence is determined, and how required resources and the respective time duration are estimated. For clarity: The term task shall mean a piece of work to be done and activity means the events necessary to complete the task. The schedule management plan usually also includes a milestone list and an activity list. Many teams refrain from creating such lists and prefer to enter their data directly into the planning software. However, the planning software is usually only updated by one person, which, in the absence of the two lists, can in turn again cause things to be overlooked. Secondly, it needs some experience in using the software to ensure that more lines can be inserted and at the same time maintain sorting functions and so on. Last but not least, the schedule management plan also includes guidelines for updating the schedule and suitable measures to report and deal with time deviations. How to Prepare the Project Schedule? Creation of the schedule under too much time pressure and regarded as a necessary evil, instead of giving it the necessary meaning.